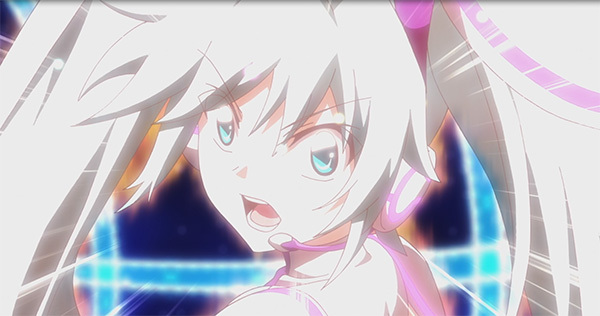 Both surprisingly and unsurprisingly, a recent poll from the official Shinkalion website for fan favorite characters from Shinkalion The Animation showed overwhelming support for Hatsune Miku, who topped the poll with the #1 fan vote! Despite being recently introduced, it’s clear that many were looking forward to Miku’s appearance. Even the series main character Hayasugi Hayato didn’t stand a chance in the heated competition, placing 5th in the poll. The Hatsune Miku GT project, the racing team run by fans, has reached its 10th anniversary this year! In celebration of the project’s 10th anniversary, Goodsmile Racing has launched a special site with new exciting announcements to share. 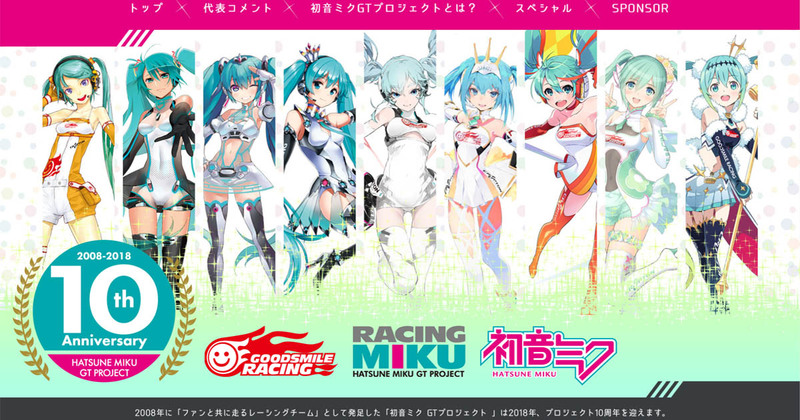 Featured on the site is all the Racing Miku designs to date. The artists for each year are as follow, from left to right: redjuice, Yuichi Murakami, GAN, saitom, Oguchi & Shigeto Koyama, Taiki, Mai Yoneyama, Tony Taka, and Hiro Kanzaki. Firstly, a special 10th anniversary exhibition will be held at Akiba CO Gallery in Akihabara on May 30th~June 17th. Secondly, due to various requests from individual sponsors and fans, the past Racing Miku will be getting new merchandises! Stay tuned for more details! Lastly, a memorial photo contest will be held, where the contest is divided into three categories. The Aki prize will be elected by the entrant representative Takanori Aki. First launched in 2008, the project has long been running under its slogan “the racing team run by fans”. With supports from fans and sponsors worldwide, the team has conquered over three championships in the last decade (2011, 2014, and 2017, respectively). The next round of this season will soon take place at Suzuka circuit this weekend on May 19th~20th. Fight, GSR!